UC ANR efforts to support healthy youth, families and communities. Mexican dignitaries and UC ANR 4-H leadership pose on the steps of the State Capitol after they accepted a resolution from the California State Senate recognizing their agreement to bring 4-H to Baja California. Dignitaries from the Baja California department of agriculture were recognized along with representatives of the UC Agriculture and Natural Resources 4-H program by the California State Senate on April 2 for an agreement the two organizations forged last year to bring 4-H to children across the border. In presenting a resolution, Senator Ben Hueso, whose district includes the entire 156-mile border of California with Mexico, said the two countries share an agricultural legacy that has faced growing challenges in recent years, such as drought and climate change. “This requires California and Mexico to share resources by providing access to outstanding educational opportunities what will prepare leaders, scientists, educators, entrepreneurs and professionals with the knowledge and commitment to address these very important issues,” Sen. Hueso said to his colleagues in the State Senate. 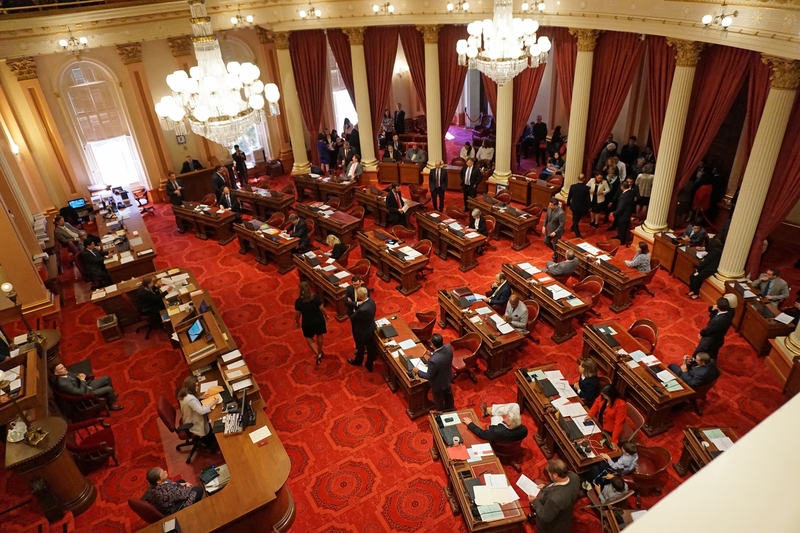 The resolution was presented on the California State Senate floor April 2. Sen. Hueso said education isn't the only issue addressed by the 4-H-Mexico accord. The first group of children in the Mexicali 4-H program learned where their food comes from. A second cohort will undertake a project related to science. The program is a model for establishment of similar 4-H experiences for youth in the rest of Baja California and Mexico. 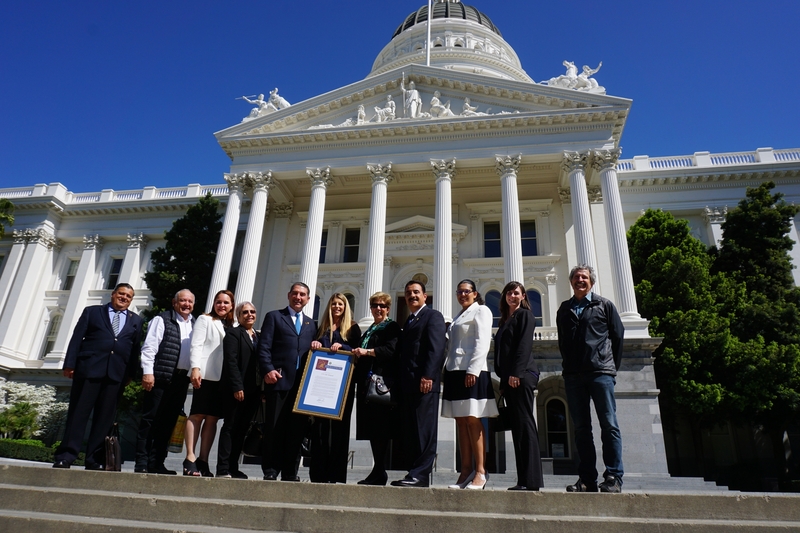 California State Senator Ben Hueso (far right) presented a resolution to Mexican dignitaries and UC ANR 4-H leadership. Pictured, left to right front row, are State Senator Jim Beall (15th District), Hortencia Medellin, Lupita Fabregas, Manuel Valladolid Seamanduras and Carlos Orozco. Back row, left to right, are Mark Bell, Claudia Diaz Carrasco and Shannon Horrillo. Click here to view Sen. Hueso announce the resolution. 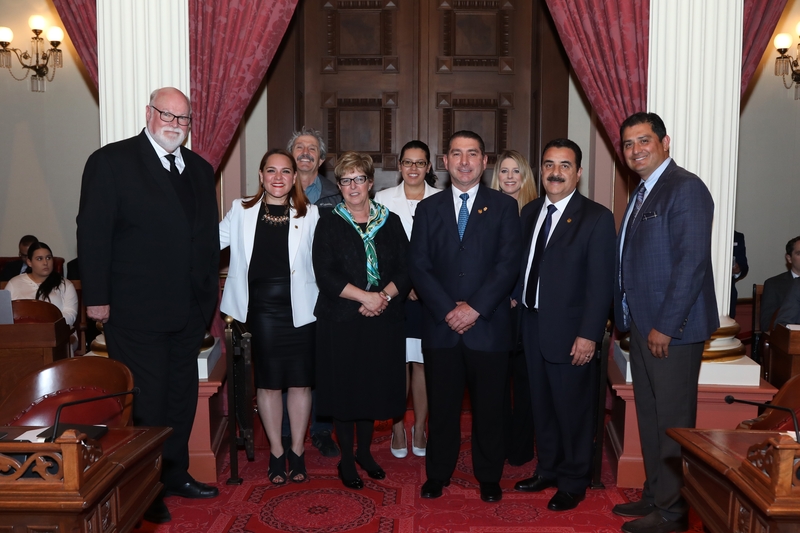 Click here to read the California State Senate resolution recognizing the establishment of a 4-H program in Mexicali, Mex.